ABOUT DEPARTMENT: Uttrakhand Khadi and Village Industries Board established in 17.08.2002. Khadi and Village industry create maximum employment opportunity by establishment of small industry with low capital investment and strengthen rural economy. 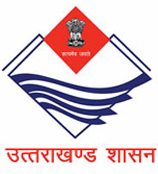 Prime Ministers Employment Generation Program (PMEGP) – This scheme is an important scheme of self employment totally sponsored by Government of India, the implementation of which is being done by three agencies in the state viz., District Industry Centre, Khadi and Village Industry Commission and Uttrakhand Khadi and Village industry Board. Government of India has nominated Khadi and Village Industry Commission (KVIC) as Nodal Agency for implementation of this scheme at national level. Government of India has decided share in the ration of 40:30:30 among the 03 agencies. According to this, the target is allocated among the three agencies. This scheme is being implemented by Uttrakhand Khadi and Village industry Board in rural area of the state. Loan for setting up project up to maximum `25.00 lakh is sanctioned by the bank to rural unemployed person/institutions.25% of the project cost as Margin money is made available to beneficiary of general category in the form of interest free loan from the budget of Khadi and Village Industry Commission which is converted into grant after successful running for three years. There is provision to provide 35% Margin money to beneficiary of SC, ST, Other backward, Minority, Women, Ex-Military, Physically handicapped category. In addition to this, entrepreneur of general category,10% of the project cost is to be born by the entrepreneur himself and 5% by the entrepreneur of SC,ST, Other backward, Minority, Women, Ex-Military, Physically handicapped entrepreneur. Interest Subsidy Scheme- With a view to discourage the migration of rural educated youth to the urban areas and to solve the problem of unemployment rapidly increasing the captioned scheme has been formulated to provide financial assistance to the rural individual entrepreneurs to the tune of `5.00 lacks by the Banks, under this scheme over and above rate of interest of 4%, which is subject to 10% will be exempted and boned by the government as interest subsidy. The commercial banks and Regional Rural Banks under which service area approach the villages or rural areas fall will provide bank loan as per rules. In Districts, the scheme will be implemented by Khadi Evam Village Industry board under direct control of District Magistrate. This scheme will remain in operation for a period of five years from the date of issue of notification as state sponsored scheme.